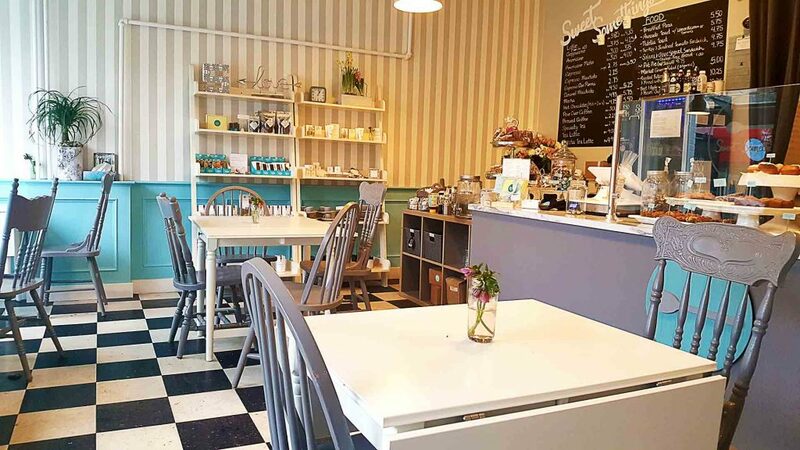 When Sweet Somethings opened in February 2018, they ended a plague of tasteless coffee in Dunbar. 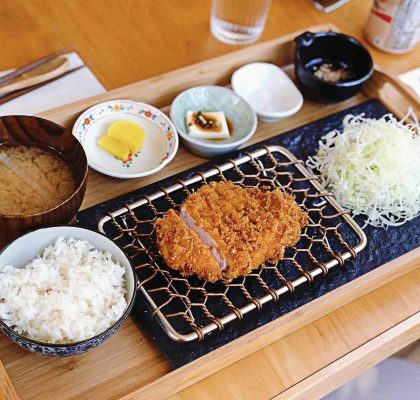 Even though they’re still in their early years, they’ve already perfected details that some popular cafés still struggle with. They also offer a variety of treats that are somewhat unique to this homey café, including their espresso con panna. 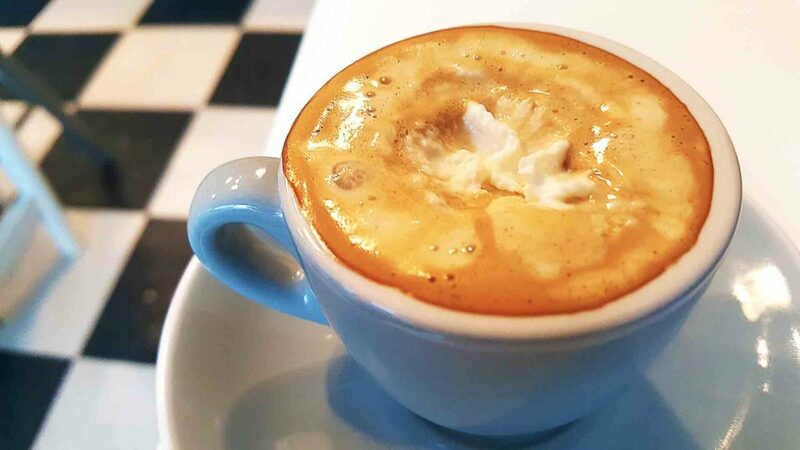 For a famous Italian coffee, it’s rare that a Vancouver café will offer an espresso con panna directly on its menu. Usually, you’d have to ask for it, even though it’s simple to make. 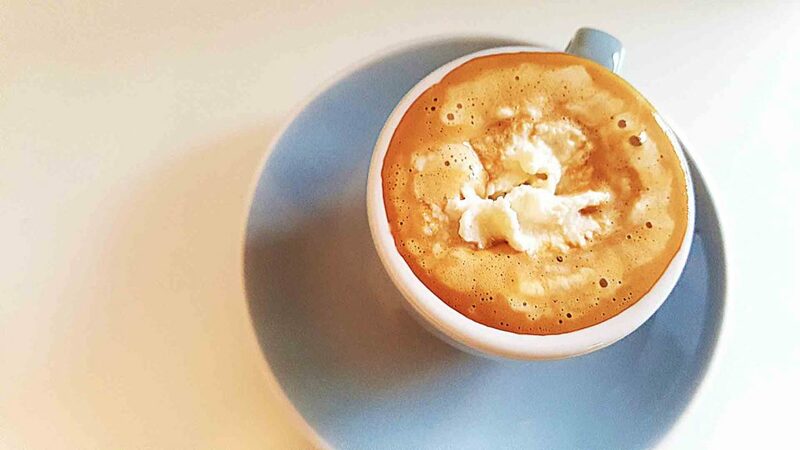 After all, it’s just an espresso with a dollop of whipped cream on top. Italians started doing this because the whipped cream brings out the natural caramel flavours of the bean. 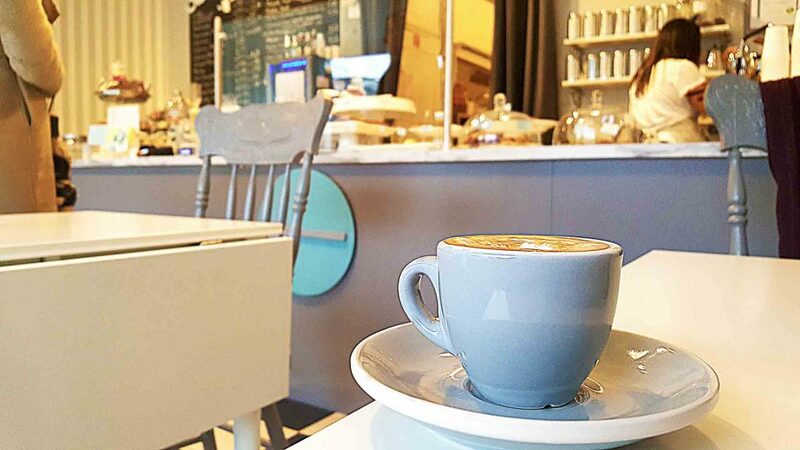 Sweet Somethings serves their con panna in an espresso glass that goes well with the café’s colour palette. 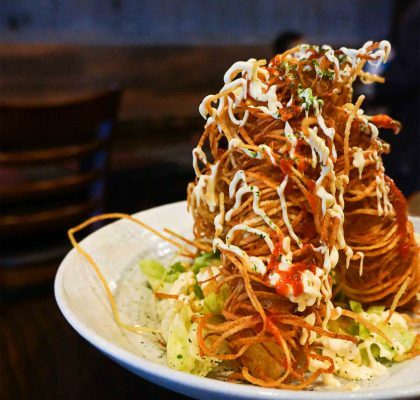 In fact, it’s clear they’re aware of the power of presentation. The beans, roasted weekly by Timbertrain, have a bitter first taste that carries through to a sweet undertone of caramel. They’re also low in acidity, a make-or-break factor for this Sweet Somethings-Timbertrain collaboration. But, a lack of acidity isn’t the only thing special here. The tasting notes are chocolatey with a rich hazelnut finish. These flavours also remain throughout the espresso. Then, there’s the dollop of whipped cream. It seeps into the espresso to make it creamy and also adds to the wonderful aroma. Overall, this brew is ideal for a day when comfort is key. 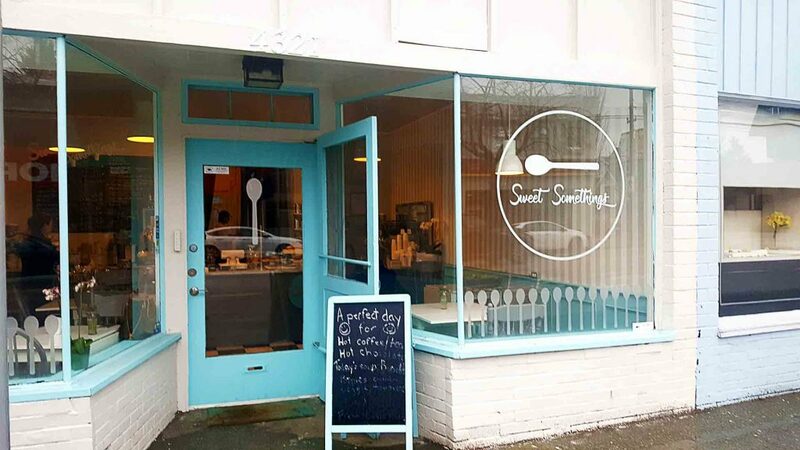 Comfort seems to be a theme at Sweet Somethings. The young café owner enjoys serving food that warms people. 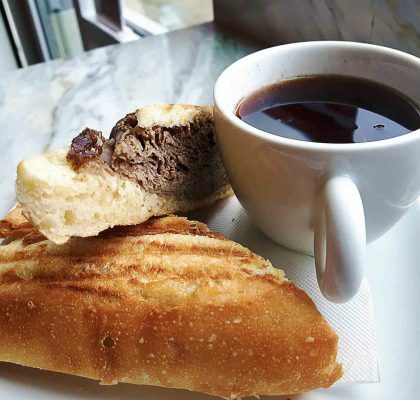 This includes homemade baked goods, avocado toast, breakfast pizza, and sandwiches made fresh in-house. As for décor, everything seems to have been carefully chosen. The taupe and blue feature colours show up on their walls, chairs, and even some products. And the cutest addition is the baby blue radiator perched on the checkerboard floor. 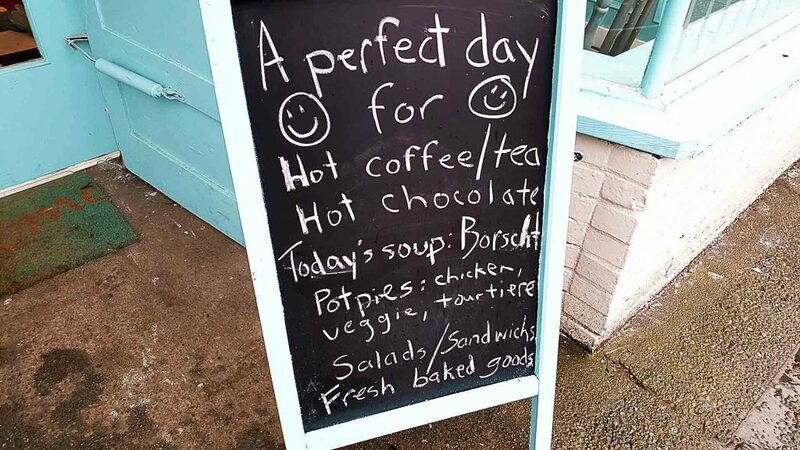 Even if Dunbar is out of your way, there aren’t many cafés that offer an experience that’s both decadent and welcoming. This isn’t only prevalent in their design, but in their coffees as well.